What people do and use to understand each other in a team ? How does a team collaborate ? Is collaboration between team members self evident ? How can collaboration actually happen? To discover methods and models that can be used to produce a team diagnostic, join us in our next webinar with Elaine Leen and Arnaud Trenvouez on Tuesday, November 07, 2017, from 11:00 a.m. – Noon EDT / 17:00-18:00 CET, as they present a special virtual CCE program for the ICF Community of Practice. The content : Cognition as a mutual understanding. Introducing the concept of Arena vs Setting (Lave, 1988) in Collaboration. The advantages of & precautions for using models & tools for a team diagnostic. Producing a diagnostic with the team’s contributions. Examples of Cognitive Bias. The 9 C model. 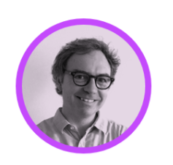 Arnaud Trenvouez is a Research engineer (PhD) at PerformanSe. He is an expert on collective performance and collective intelligence. He has worked on improvisation and mutual intelligibility during his PhD and his research topic was on what people do and use to understand each other in a team. 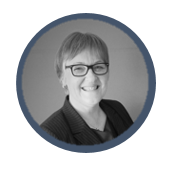 Founder of Impacts4, Elaine Leen is an ICF ACC certified Coach and behavioural analyst with over 30 years of experience. She has an expertise in behavioural skills assessments, leadership, training and coaching skills.